Gary Duncan, one of the most important research astrologers of this century, died on June 19, 1988. He was 56 years old. Gary was perhaps the last of the old-guard technical astrologers (a group that also included the late Charles A.Jayne). It is appropriate here to say something about Gary, what he accomplished and what it was like to know him as a friend. Gary liked to point out that his mother, who studied astrology under greats like Evangeline Adams and Max Heindel, was teaching astrology during the time she carried him. His given name was Neil Llewellyn Bloch, and the middle-name “Llewellyn” came from his mothers association with Llewellyn George. Gary Duncan was an assumed name used for astrological purposes, although this was the name he came to use for almost all purposes. He grew up around the Rosicrucian Fellowship of Max Heindel at Oceanside, California. From the very day of his birth, Duncan was steeped in the esoteric spiritual climate of the Fellowship. He gave his first astrological classes there at the age of thirteen. His namesake, Llewellyn George, became a close personal friend and subsequently introduced Gary to two very important persons in his life: Donald Bradley (Garth Allen) and Cyril Fagan. It was Bradley who would become the primary influence in Gary’s development. They became close friends and began to investigate statistically some of the claims that Fagan had made regarding sidereal methods. Gary, who had studied advanced mathematics from an early age, was still in high school at the time. He contributed to Bradley’s work Profession and Birth Date (especially regarding some of the mathematical methods and probability studies). Although Duncan has to be numbered among the more important Western siderealists, he was always quick to point out that while he did use sidereal methods, he was not a sidereal-“ist”. It was during his early work with Donald Bradley that he became convinced of the efficacy of the sidereal methods and ceased to take much interest in the tropical approach. However, Duncan insisted that for any serious statistical work one should evaluate all 30 different zodiacs, spaced one degree apart. Only in this way, could one be sure that they were not overlooking a result that might appear in one of the other zodiacs. He performed many statistical studies. Some of his studies include 6,281 professional baseball players, 1,113 prize fighters, 7,000 doctors, and 8,928 members of the U.S. Congress. His most impressive piece of research, presented at the AFA convention in 1984 in Chicago but still not published, was Duncan’s study of some 43,000 psychologists. What is unique about Duncan’s statistical approach is that he was adamant that all statistical work be done using the most stringent rules and methods of science. He never tired of making clear to the rest of us how data samples should be collected and handled. In particular, one must take all the sample cases from a single source, such as Who’s Who, rather than randomly collect them oneself. Only then, could any results be above reproach from the scientific community. Aside from his statistical hygiene, the most outstanding result of Duncan’s research, at least in this author’s mind, was his work with angular separations. This was made wonderfully clear upon seeing Duncan’s marvelous display graphics of the psychologist study. Gary was the first astrologer to program and use laser printers. In this study of 43,000 psychologists, Duncan dared to challenge our dependency on standard aspects, in particular the Ptolemaic set. He showed through a fabulous set of laser graphics how odd angular separations showed real statistical significance. Instead of the significance peaking at an angle like 90 degrees (square), and so on, he showed that, rather, an angle of 79 degrees might be where the peak occurred. With one fell swoop, Duncan suggested we abandon any preconceived notions as to which aspects were important and see what the data showed us. To Gary, nothing in the history of astrology was acceptable that did not have statistical evidence. Gary also helped to establish GRR! (Grass Roots Research), perhaps the most forward-looking plan for collecting real data sets yet established. Using the home computer and hundreds of volunteers, Duncan planned to enter vast quantities of raw data into a computer in readable form. In making an assessment of Duncan’s contribution to modern astrology, one runs into problems. Gary, who also had an ego as big as all outdoors, was very qualified in many disciplines. He had a resume that was about a yard long. Among other things, he was a computer scientist and professional astronomer. He lectured in celestial mechanics, numerical analysis, and statistics. He claims to be the first astrologer ever to use a computer and to have performed statistical work on these machines. This may well be true. He had an immense knowledge of mainframe and mini computers, had helped to write several compilers for the computer language ‘C’, was an active member of the IEEE committee to the standardization of ‘C’, and so on. He made it clear to me that he had helped to develop the advanced lunar equations used by NASA for space work, while working at the Jet Propulsion Lab at Pasadena. Knowing Gary not to be above embellishing the facts, and very capable of blowing his own horn, I had the temerity to go to the fundamental JPL documents themselves and check this assertion out. And, indeed yes, the name Neil Bloch does appear throughout those documents. He did that. He was also very proud of the fact that he was the first astrologer to produce astro-geography maps on a computer, back in the 1950’s. I have a copy of these maps as published in Llewellyn’s Moon Sign Book in ’66. Gary was also an excellent concert pianist, as many of us who have heard him play at the various AFA conventions can attest. He has performed in movies, radio, and on TV. At one point he was acclaimed the most outstanding musician in Southern California. 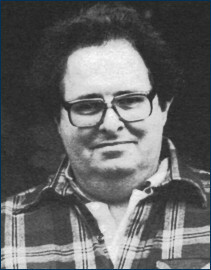 Although I had heard about the legendary and reclusive Gary Duncan for many years, I only met Gary in person at the Chicago AFA convention in 1982. Gary and I were friends from the first moment we met. The history of astrology will have to assess Gary’s contribution. Here, I would like to say something about Gary as a person for those who have either never met him, or never met him on his own ground – conversing on a subject that interested both you and him. It is common knowledge that Gary had a large ego, one that always managed to place him right in the middle of the limelight. Yet for all his self concern, he seldom harmed others with it. In fact, he had almost no awareness of others. This apparent ignorance of the existence or needs of other people often had the effect of driving folks en-masse from any room in which Gary was holding forth. Yet, this was never his intention. In fact, I have yet to meet anyone who displayed the true qualities of Venus – those of infinite appreciation and love for each and every thing – more than did Gary. The sad twist was that Gary’s compassion and love was generally reserved only for those things that he personally was involved with, or approved of. Anything beyond this personal interest was ignored. He just couldn’t see it. And yet, he was the best astrological teacher and educator that I have yet witnessed. Indeed, around Gary one had to be careful with questions, because you almost always got an answer, and that answer could easily last an hour or longer. I remember when Mark Pottenger asked a question about the CP/M computer operating system and Gary explained all sixteen variants of that system in excruciating detail, and all from memory. During 1986-87, Gary spent some nine months here with us at the Heart Center in Big Rapids working on our encyclopedia of astrology, Astro*Index. The personal anecdotes that Gary managed to generate from even that short period of time would fill a small novel. Gary was, without a doubt, some kind of technical genius. Yet, more important to me, was the love for astrology he so openly displayed. Like Charles Jayne, who left us not long ago, Gary too was a living astrologer. To know him was to know what loving astrology was all about, and he communicated this love to all who came to know him. He has carried on the lineage of Western technical astrology. I, for one, will indeed miss Gary Duncan. The name “Gary Duncan” is an assumed name for the astrological community. His given name was “Neil Llewellyn Bloch.” Duncan may be the first astrologer to perform astrological research, who also had credentials recognized by the establishment. He was expert in computer science back before in the days of mini and mainframe computers, long before home computers. He was also recognized as an outstanding pianist. Please see the above article for more details on his life and work.